El Morya is the chohan of the first ray and chief of the Darjeeling Council of the Great White. El Morya represents the divine masculine attributes of courage, certainty, power, forthrightness, self-reliance, dependability, faith and initiative. El Morya has, through many embodiments, worn the crown of authority, ruling many kingdoms wisely and well. 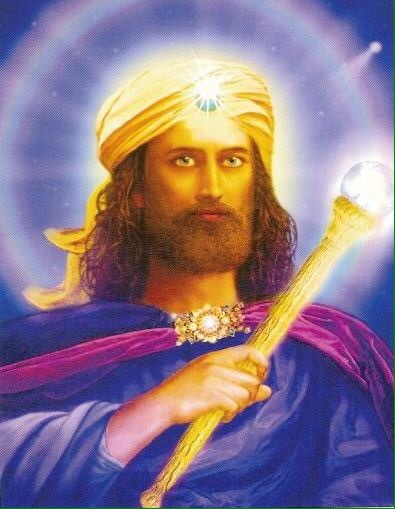 The name “El Morya” may be unfamiliar to some. But it is more than likely that millions have heard about one or more of his past lives. Because of his love of the will of God lifetime after lifetime, El Morya has come to embody the quality of compliance with law to holy will. Today he serves from heavenly realms as the Chohan1 of The First Ray2, the blue ray of guru’s will, faith, protection and power. Posted on May 30, 2017 May 30, 2017 by KrishnaPosted in featured, healing, Health and Wellness, India Love, Intuitive Living, Intuitive Magazine, Intuitive Media, Kundalini Yoga, Love and Relationships, Sixth Sense Media, Twin Flame and Soulmates, YogaTagged ascendedmasters, elmorya.